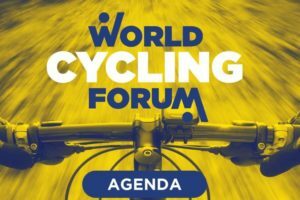 Transport Ministers from 53 countries were supposed to discuss seamless transport in Leipzig, Germany at the International Transport Forum that took place from May 2-4. Participants however were perplexed when they discussed ‘Sea Piracy’, ‘Cruise Ship Safety’ and went on luxury car factory tours. Thankfully, Europe’s bicycle lobby offered some real, workable solutions to improve global transport. 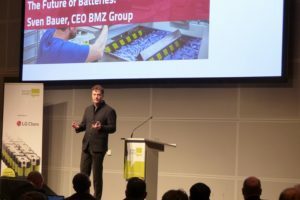 LEIPZIG, Germany – Transport Ministers from 53 countries were supposed to discuss seamless transport in Leipzig, Germany at the International Transport Forum that took place from May 2-4. Participants however were perplexed when they discussed ‘Sea Piracy’, ‘Cruise Ship Safety’ and went on luxury car factory tours. Thankfully, Europe’s bicycle lobby offered some real, workable solutions to improve global transport. 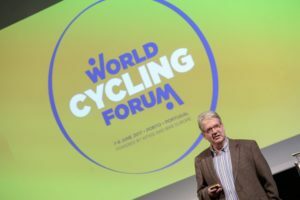 “Once again we brought public cycling, e-cycling and cargo-cycling onto the agenda of Transport Ministers of the leading industrial countries at the International Transport Forum,” says Manfred Neun, President of the European Cyclists’ Federation (ECF). 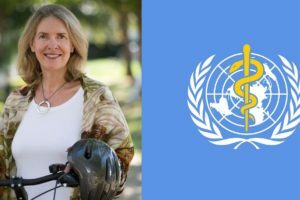 “We definitely made a huge impression,” adds Neun, “but we’ll need to work harder if we’re going to take on the multi-million dollar lobbying campaigns of the shipping, car and airline industries.” Shifting 10% of traffic from cars to bicycles reduces travel times by more than a fifth and saves OECD economies € 615 billion in congestion annually. Highlighting the bicycle industry’s ability to innovate, ECF also promoted the use of cargo bicycles in cities to deliver goods for the last mile, gaining unique coverage from business media such as Forbes magazine. 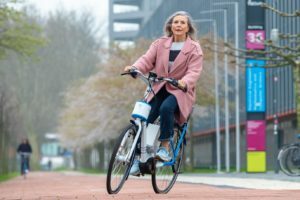 Cycling also showed that it has solutions ready now. 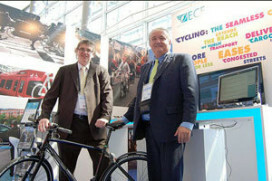 The electric bicycle industry sold 30 million units globally in 2011 according to Electric Bikes Worldwide Report. Despite the summit giving a lot of attention to electric cars, only 11,563 units were sold in Western Europe last year. 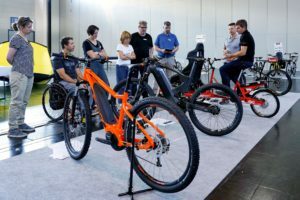 ECF’s presence at ITF was supported by the Cycle Industry Club that was launched at Eurobike last year and by other companies that supplied staff and equipment. These included GobaX, Winora, Colipi/Coliped, Velobility, Paper Bicycles, EcoPostale, Outspoken Delivery, Urban E and Rad3.